Every year, I struggle to figure out what in the world to give my husband for Valentine’s Day. To me, it always seems difficult! Of course, he’s not going to want sweets or flowers, but that means I have to get creative. What could he possibly want? Last year, I found him a gift of thick, juicy steaks, and that was a big hit, but every man is going to have different desires. 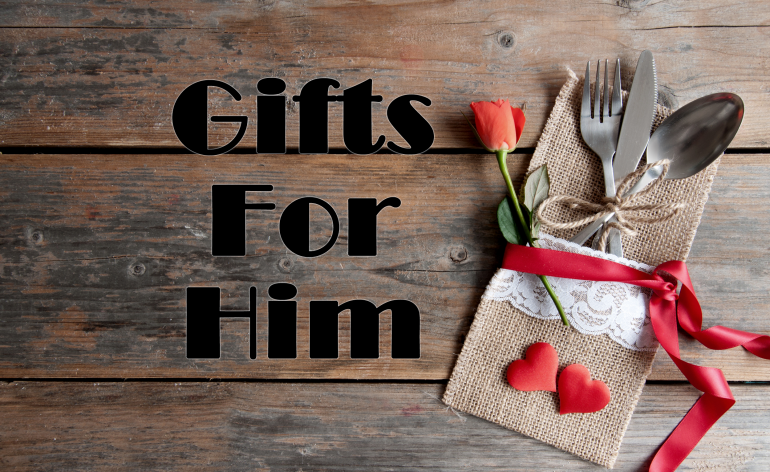 The men in your life are going to have different wants and desires, but thankfully, Amazon does provide a wide variety of “gifts for him” that you can pick through. Even if your man is a gamer, a BBQ lover, a sports fan, or an avid outdoorsman, there is certainly going to be the perfect gift for him with a little searching. No matter what you get him for this Valentine’s Day, it’s important to remember to spend time together, even if you can’t be together on that special V-Day. Make time, and enjoy your time – don’t stress on work, finances, or the troubles of your day to day life. Time already moves too fast!